※Smart ZL Carbon , specially developed for the new plastic ball, has the same performance design concept as the Super Zlc, enabling the batting sweet spot to be concentrated, improving the performance and stability, and using the soft Japan Kiso Hinoki in the panel thickening. 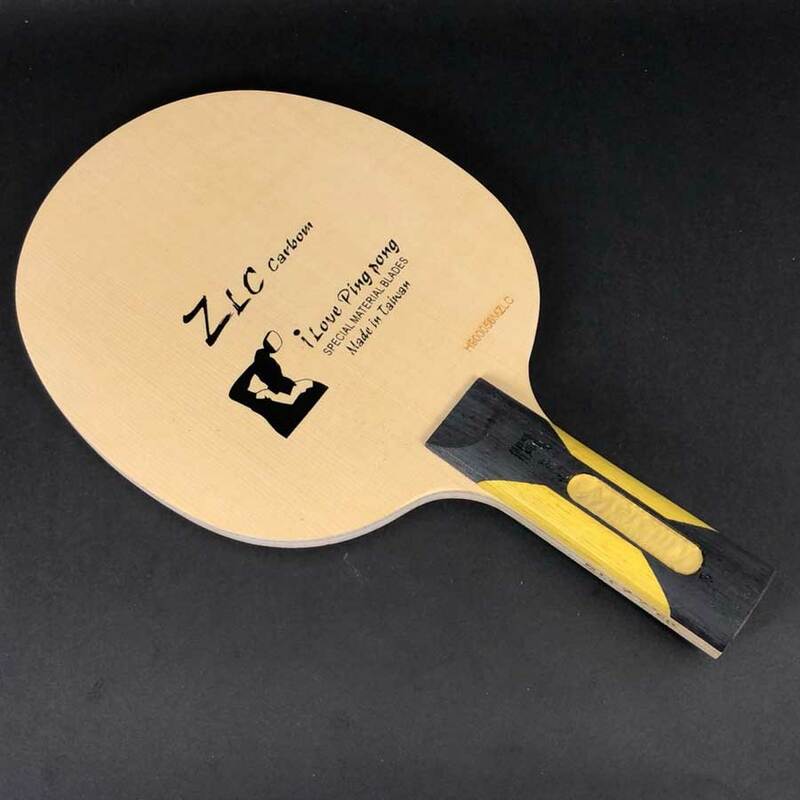 ZLC, to make the characteristics of positive and negative hands to the extreme, to increase the rotation and speed of hitting new plastic balls, but also allow the rotation and speed increase while taking into account the stability of the batting feedback. Smart ZL Carbon, the thickness of the plate is 7.2mm thick. It has an initial velocity and absolute stability when hitting the ball. After the ball is dropped on the opponent's table, the rotation (second speed) of the additional rotation will cause the frontal arc to rapidly depress. The difficulty of getting the opponent to return the ball is increased a lot. The steady shot and the second rotation after the table are strong are the features of the board. ※Both racket layers are thickened using soft Japanese KISO Hinoki, increasing the degree of rotation while pursuing speed. ※ P.P. Mercury Smart ZLC uses the same material as the SUPER ZLC to enhance the stability and increase thickness to 7.2mm. Coach Tony Hsu recommends M.I.T. I Love Ping Ping. The blade chooses Smart ZLC Carbon in strictly. Coach Tony Hsu personally selects, wood grain and performance best quality guaranteed, above the price in value, M.I.T. I Love Ping Ping, This brand high-quality blade are the pride of Taiwan. ※Speed (high control techniques): JOOLA-X-plode 〉 JOOLA RHYZM-P 〉Nittaku-Fastarc P-1 〉JOOLA-energy 〉Nittaku-Fastarc G-1 the best high-speed combination, suitable for the pursuit of high-speed arc ring players to use, high speed, rotation of both, for the pursuit of arc-ball player advanced the combination. ※High Spin→ Nittaku-Fastarc C-1〉JOOLA-energy X-Tra 〉JOOLA-energy 〉 JOOLA RHYZM TECH 〉 JOOLA RHYZM-P ←Weak rotation.